When you stop and think about it, quite a lot actually happened in the motorcycling world during 2016. At the beginning of the year we got our first taste of the rather good Yamaha MT-10. More recently Ducati unveiled the new SuperSport, Suzuki the new GSX-R1000 and we revealed patent drawings for a new Honda monkey bike. Out of all the stories from the crazy year that has been 2016, these are our top three highlights. It's always been pretty clear Cal is no slouch when it comes to two wheels. He won the World Supersport championship in 2009. In 2011 he moved up to MotoGP and secured a best finish of fourth in his maiden year. But this year, after a difficult first half to the season, Cal became the first Brit to win a premier class Grand Prix race in 35 years with a commanding victory in the wet at Brno. But just to prove he wasn't a one hit wonder, Cal then won at Phillip Island in the dry, beating Valentino Rossi and forcing an error from 2016 champion Marc Marquez in the process. Hats off to you good sir. The superbike everyone was waiting for, Honda didn't disappoint when they announced three variants of the new Honda Fireblade at the back end of this year. The outgoing Fireblade has been lagging behind its rivals for a few years now, but with the introduction of the 2017 Fireblade as well as the SP and SP-2 variants, Honda hope to be right back at the top of the superbike pile. The new standard Fireblade is 15kg lighter than the outgoing model and produces 10.7bhp more. We haven't ridden it yet, but our Head of Content Tim Thompson reckons it's going to be brilliant. After been disqualified from the first Isle of Man Supersport race this year, Michael Dunlop had a point to prove. And prove it he did. Dunlop obliterated the competition in the blue ribbon Senior race, leading from start to finish and setting a new lap record of 133.962mph in the process. That means it took him just 16minutes 53 seconds to cover the 37.75 mile course. Simply astonishing. 2017, you're going to have to be pretty good to top this year. 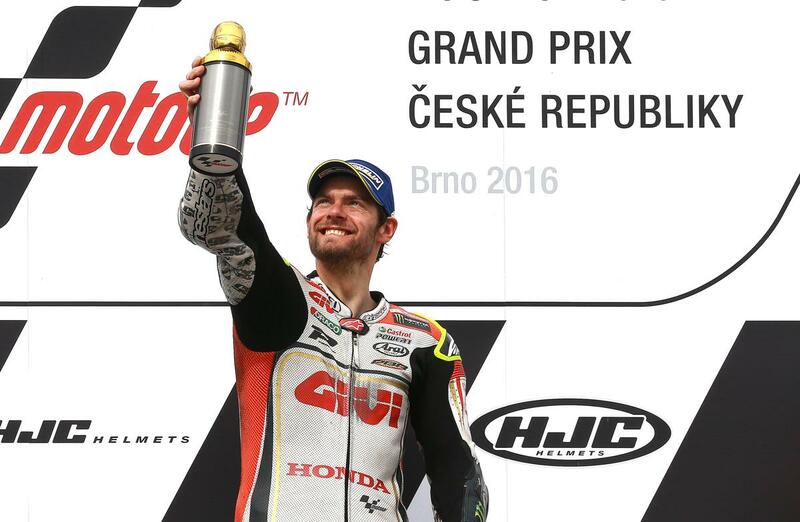 Is Jonathan Rea your 2016 MCN Man of the Year? Is Marc Marquez your MCN Man of the Year 2016? Is Shane Byrne your MCN Man of the year 2016?